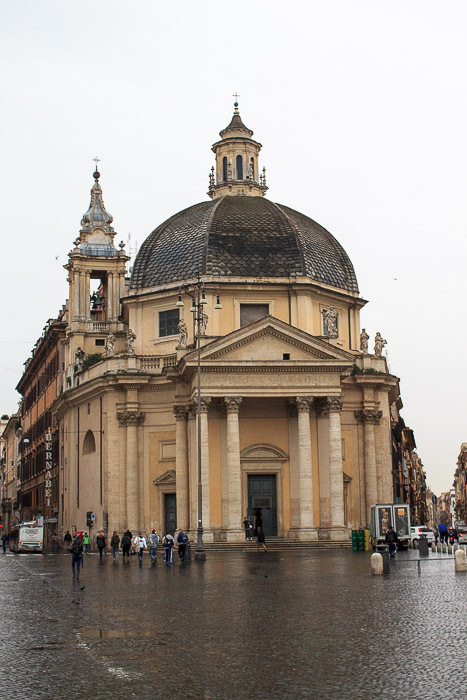 Santa Maria dei Miracoli is the right-more of the two similar looking domed churches at the southern end of Piazza del Popolo (one on either side of Via del Corso) and was built from 1675-1681. The other is Santa Maria in Montesanto. I haven't been inside either church. 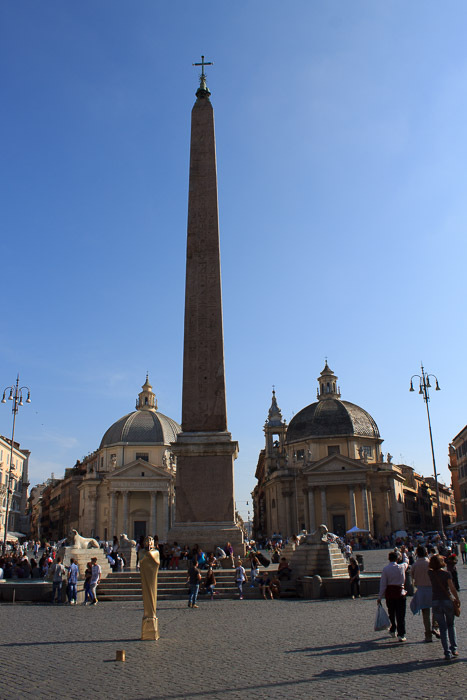 See all Santa Maria dei Miracoli photos.